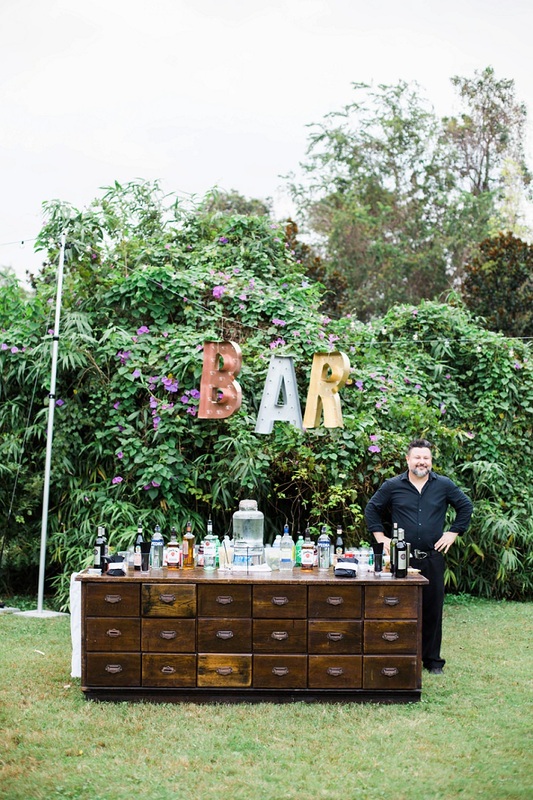 Today’s wedding is a rock n roll DIY one, with 1920s touches and found a Friday 13th for the celebration. 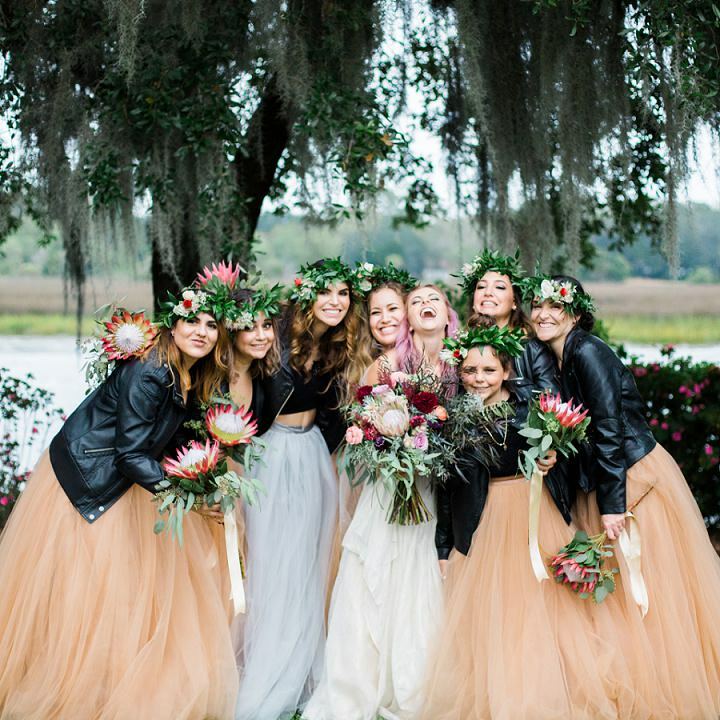 They then mixed in leather jackets, stars, metallic colors, amazing flowers and added as much DIY magic to their day as they could. What can be edgier? Let’s dive in! 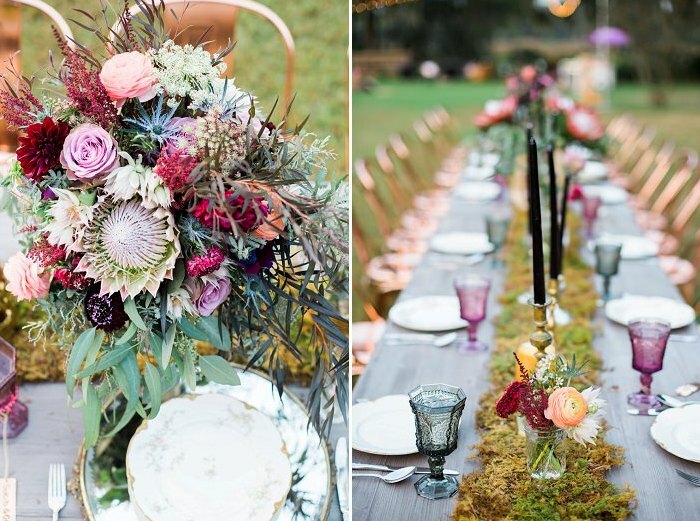 The color palette was purple and vintage pink hues and some metallics: rose gold, copper, chrome, and antique gold, anything shiny. 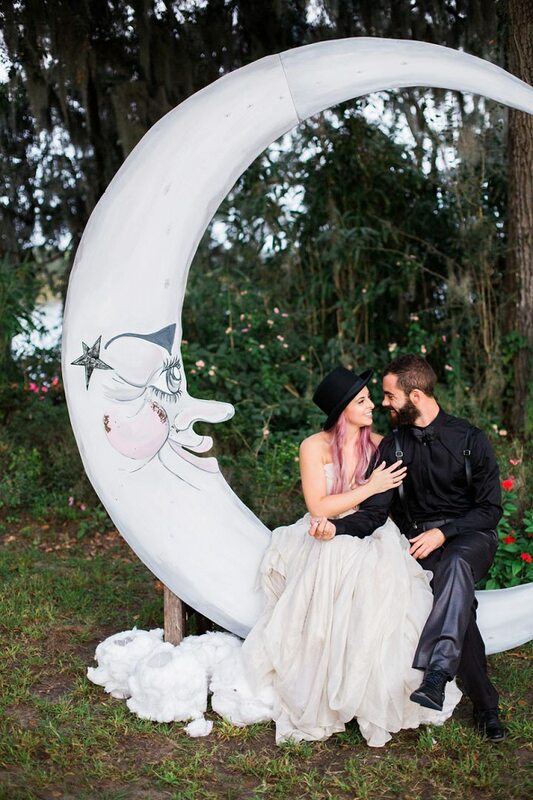 The couple invited their dogs to the ceremony, rocked an 8 foot tall moon prop along with a path of hand cut paper stars, mini tambourines, tassels, glitter and the most stunning outdoor ceremony, followed by a crazy cute outdoor reception. 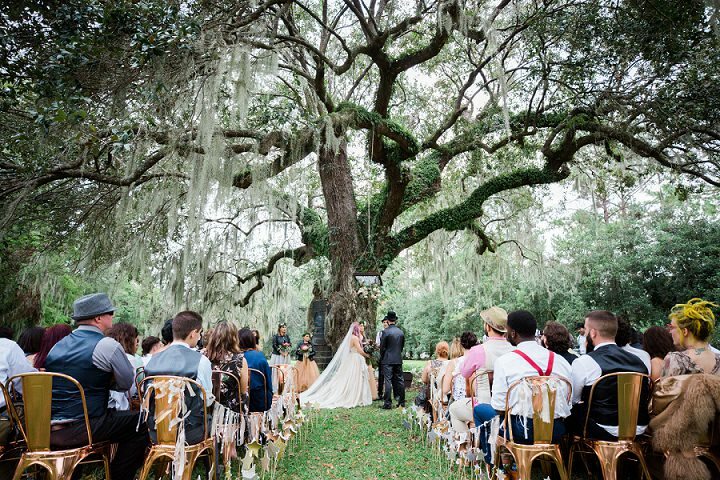 They made a path of hand cut paper stars stuck in the grass on little sticks, flower crowns for the guests, their own flower chandelier out of wood and wire and hung it from the gorgeous ceremony tree. 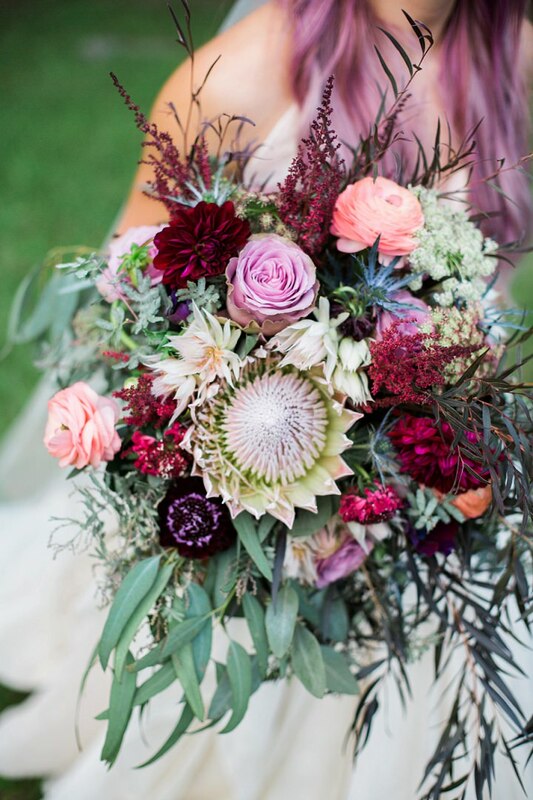 The florals were proteas, lavender roses, dahlias and lots of greenery. The bride was wearing a princess-style wedding dress, of tulle and with shiny bling touches. 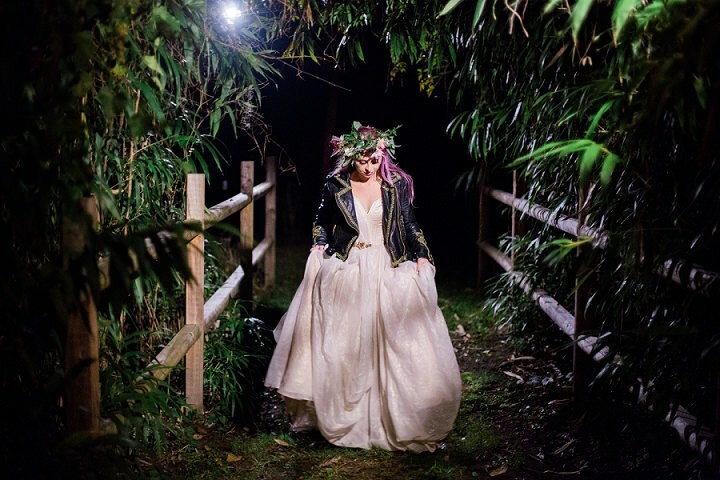 Her veil was gold-splattered, her waist was accented with a gold floral belt and she covered up with a black leather jacket. 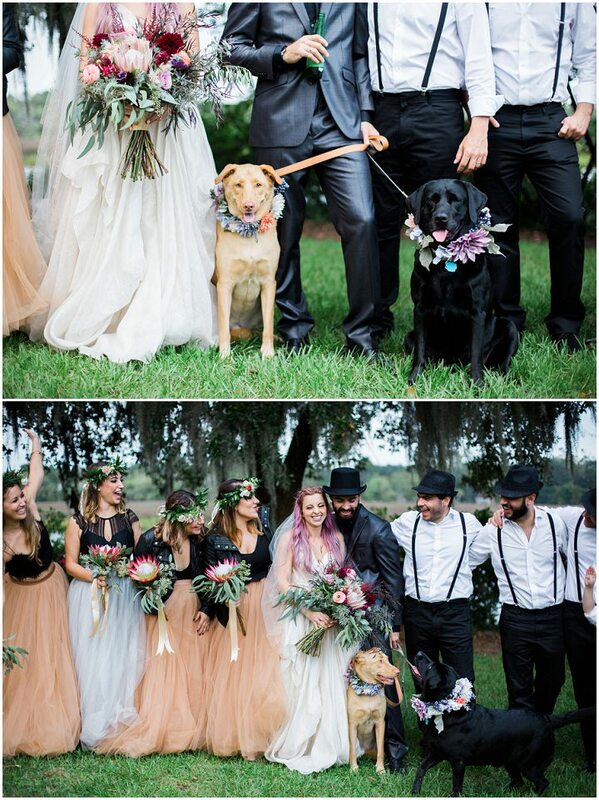 The groom was wearing a grey suit with a black shirt and a bow tie. 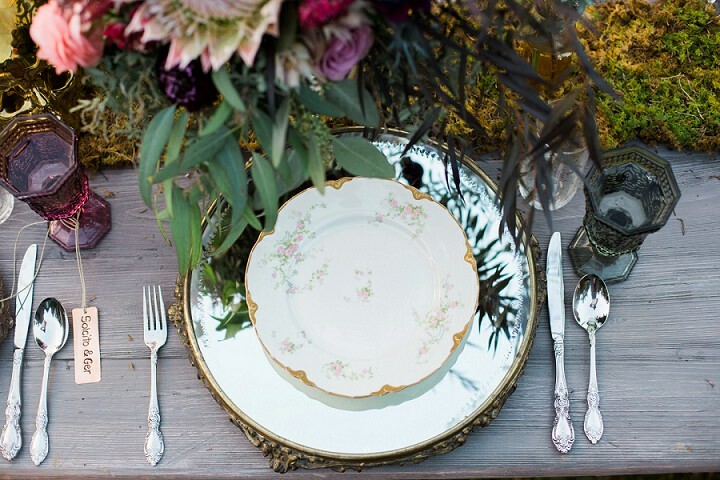 The bridesmaids were rocking mismatching black tops and rust skirts, and the groomsmen were wearing black pants, white shirts and black suspenders. 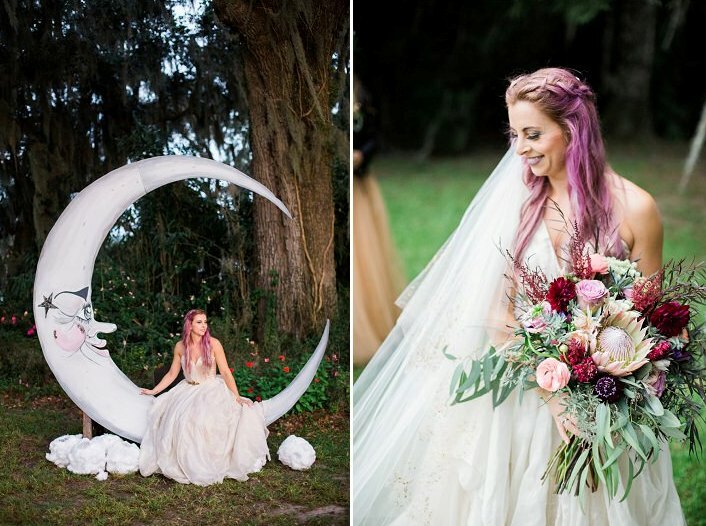 Get more of this unique wedding below!